Jack Rath, age 64, of Giltner, passed away Tuesday, February 21, 2017 peacefully in his sleep at home. 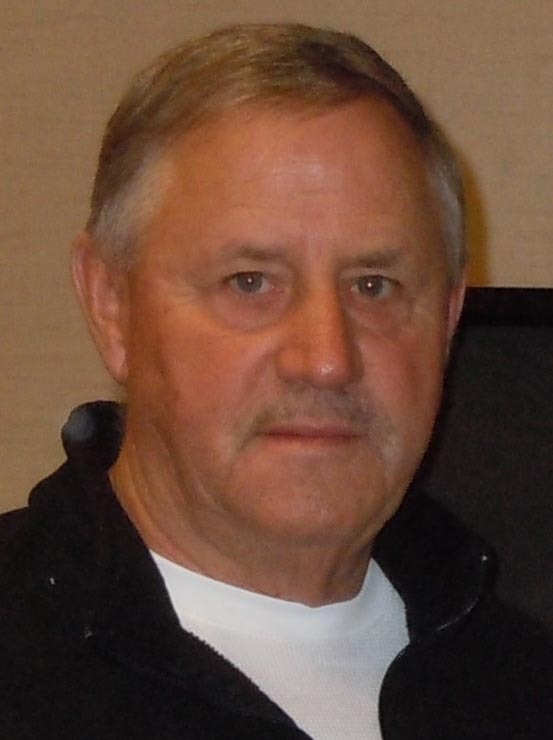 Jack Allen Rath, the son of Wayne Allen and Mary Ann (Buller) Rath, was born in Hastings, Nebraska on March 4, 1952, and passed away at his home on February 21, 2017, at the age of 64. Jack grew up on his family's farm south of Eldorado, NE. He graduated from Harvard High School in 1970. Jack attended Sterling College and Central Community College in Hastings, where he obtained an associate's degree in welding. Jack was united in marriage to Gail Stull on February 13, 1977. They farmed for a short time in Stockham, before moving to Long Pine, NE for approximately 4 years. They then moved back to Hamilton County, where they farmed for the last 30+ years. Jack was the love of Gail's life, and they were best friends. He enjoyed hunting, fishing," junking", and grilling, as well as classic cars and other antiques. Each of his children had a very special place in his heart, and he always kept in close touch with them and how they were doing. He loved Husker football and loved the special opportunity of watching his son be a part of the team. Family and extended family were a huge part of Jack's life. Family traditions and celebrations were treasured by Jack. Lastly, along with so many beloved friends, coffee time, bible study, and his church were thing he held dear. His presence will be greatly missed, especially by his family. Jack was preceded in death by his father, and his brother Dale Lynn. Those left to cherish his memory are his wife, Gail of Giltner; 4 children: Sage Rath, Cody Rath, and his two children Caiden and Laini, Cheyann (Duane) Donnell, and their two children, Dodie and Peyton, and Logan Rath; mother, Mary Ann Rath; sister, Joann (Roger) Hattan; two sisters-in-law, Dixie (Scot) Smith, and Roberta (Chuck) Conway; four brothers-in-law, Patrick (Trish) Stull, Cliff (Kathy) Wiles, Randy (Theresa) Wiles, and Rodney (Linda) Wiles, and numerous nieces, nephews, other family members, and close friends.